A reminder that we’re taking a break on Monday so no Monday class this week. We’re starting a new block of classes on Monday 9th April and there are still two spaces available. Enjoy Easter and your evening off. Pads and tampons are not cheap, but for anyone with a period, they are an absolute necessity. Many women living in poverty simply cannot afford to buy the items they need and resort to using toilet paper, old scraps of fabric or nothing at all. As if they didn’t have enough to worry about already. There are very few food banks and asylum seeker drop-in centres providing feminine hygiene products – despite a desperate need. I am organising a collection for Bloody Good Period during February so please bring along donations to the studio. ● Pantyliners Again – of all descriptions! ● Tena Pants – In all sizes, for all ladies! Check Bloody Good Period for more information. February’s Yin Yoga Classes are now open for booking via BookWhen. Friday 6.30-7.30pm – 16th February only. Booking for January courses are now open with only a few spaces remaining. 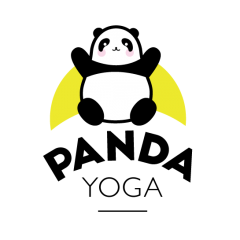 Wednesday 5.10-6.10pm – Yin Yoga – Starting 3rd January – 5 classes for £30 – 3 spaces remaining. Wednesday 6.20-7.20pm – Yin Yoga for Flexibility – Starting 3rd January – 5 classes for £30 – 4 spaces remaining. Monday 7-8pm – Yin Yoga – Starting 8th January – 4 classes for £24 – 2 spaces remaining. Yin Yoga is a gentle style of yoga suitable for beginners and those with experience of yoga. Poses are held for 3 to 5 minutes with blocks, bolsters and other props used to support you in poses. Your flexibility will slowly and gently increase with these classes.